Singapore-based tech start-up BonAppetour, which allows travellers to enjoy home-cooked meals with local hosts, has raised US$500,000 (S$690,000) to expand its presence globally. Investors include Singapore serial entrepreneur Wong Toon King of FarSight Capital and Indonesian angel investor Budi Setiadharma's investment arm, spearheaded by Mr Arya Setiadharma and Mr Ardi Setiadharma. BonAppetour wants to be the Airbnb of home dining by enabling travellers to connect with local hosts through unique dining experiences. Co-founder and chief executive Rinita Vanjre said: "With the funding, we will be able to expand our offerings into new markets. Other than the culinary hubs in Europe, our travel community has also been seeking dining experiences in Tokyo, Bangkok and Melbourne." The start-up is preparing to expand into top culinary hubs such as Rome, Paris and Barcelona, she said in a media statement. "We are receiving host applications at the moment." Mr Wong said he was looking for "moonshot" projects - a term for very ambitious ideas that might just succeed. He believes that BonAppetour is such an idea. Ms Vanjre is a permanent resident here who co-founded BonAppetour with Ms Inez Wihardjo and Mr Giovanni Casinelli. Local start-up Voicemap has teamed up with noted British actor Sir Ian McKellen, best known for the Lord Of The Rings trilogy. 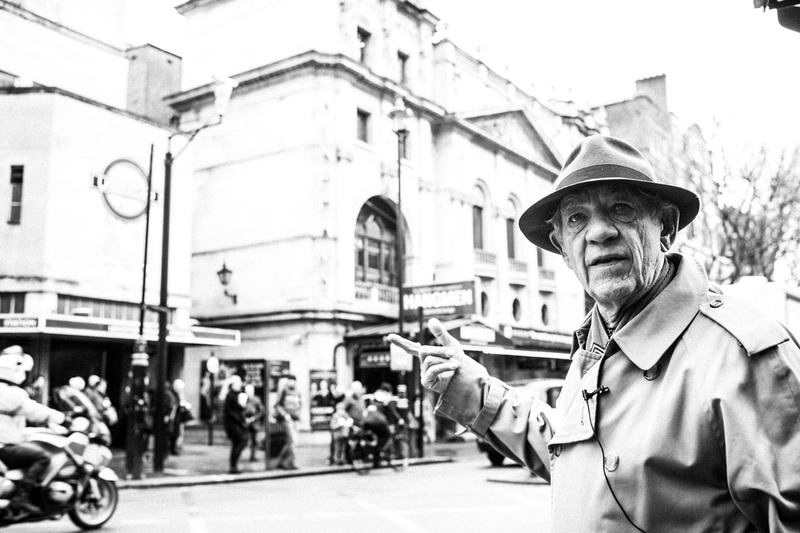 He will narrate a tour of London's theatre district for the start-up's GPS-triggered audio guide app, also called Voicemap. In a media release, Sir McKellen said visitors to London should not walk around with their noses buried in guide books. Instead, they should be looking up and around the corners, and down the alley with "a guide in their ears". Voicemap is a much easier way of guiding strangers, he said. A media release yesterday said the collaboration was made possible by the Society of London Theatre. Voicemap now has more than 200 curated tours in almost 60 major cities around the world. These tours are done by locals, who include writers and thought leaders. In Singapore, well-known comedian Hossan Leong will lead listeners through the arts and heritage district. Other local celebrities who are narrating tours are actress Pam Oei and photographer Yafiq Busman. Voicemap is available for Apple mobile devices and Google phones. With the Government's Smart Nation initiative, computer coding has become an important skill. Local start-up SG Code Campus believes that coding is not just for those who want a career in programming. Co-founder Toh Ting Feng said: "With technology becoming increasingly prevalent in businesses, digital literacy has become as important as basic skills such as numeracy. "One's ability to understand and utilise technology as a business enabler is of growing importance to organisations looking to stay ahead of the competition." Set up last year by Mr Toh and Mr Ian Choo, the start-up wants to help students from ages eight to 16 years learn programming through its coding classes and holiday camps. Mr Choo believes that SG Code Campus is timely considering that students in 19 secondary schools will take a new O-level subject called Python programming from next year. He expects demand to grow and the team is already looking to expand.